Sick to death of wasting your time and money on hype filled, shiny objects? I’m not going to bore you with a long drawn out letter here (we’ve both seen those a hundred times before!). Instead we’ll cut through the hype and focus in on what really matters. Please read below to see what I mean…. You HAVEN’T “missed the boat”. NOW is the time to take action, before the boat does eventually depart. Remember, you’ll get INSTANT ACCESS to all of this inside Gain Higher Ground Membership. Probably the biggest problem achieving success online is knowing who you can trust to help you build your business. There are so many self-proclaimed “gurus” out there, but who are genuine and who are the scam artists? Here is the PROOF that Gain Higher Ground Membership works: The refund rate is less than 2%! That’s a staggering 98.1% customer satisfaction rate. Remember most internet marketing training programs have crazy refund rates in the 30-50% region (not surprising as the majority of them don’t work). So, no uncertainty here, instead you KNOW you are in safe hands with Gain Higher Ground Membership…. “Hello my name is Dave, I’m 63 years old, and a complete newbie to the internet marketing business. Rob explains everything in a, calm and clear way, so that a newbie like me can understand what to do, and if you need any help, Rob will get back to you on the same day to help you! Joining GHG membership is the best thing I have ever done. “I have to say I’m so impressed with your site and it really is exactly what I’ve been looking for! Although I’m only on day 4 of the 15 steps program my mind is so much clearer now about what I need to do and for the first time in years it’s all starting to make sense to me! Finally someone has cut out all of the hype and b/s and just laid it all out in an easy to follow format that actually works! Honestly I can’t praise your teaching style or website highly enough! Gain Higher Ground is a wonderful membership site. Rob Cornish aims to take people at ground level and lift them up to a clearer understanding of how they can make money on the internet. Rob has a genuine interest in his members’ progress. The membership website is a marvellous mixture of interviews, videos, training and extras. In the forum, members at all levels are encouraged to share problems and solutions. “Having been recommended Rob's site by a friend, I had no idea how on earth to make a website let alone promote it. After following the 15 steps to success I have now made my own website with a variety of promotions on it, his explanation of each step was extremely easy to follow and I would highly recommend EVERYONE to join up with Rob and enjoy learning from his professional and efficient expertise." Confused as to which strategy to follow? Not sure what niche to enter? Don’t know how to get traffic? Aren’t sure what software, themes or plugins are the best? Stuck with sales copy, squeeze page creation? Someone who has built a 6-figure per year business completely from scratch. In Gain Higher Ground Membership I am here to support you throughout your online journey. Equally as vital is the step-by-step training inside the members area. Quite honestly, the only way to truly appreciate the value you'll get as a member is to login and see for yourself. However, let's take a look at some of the sections that are the most popular with our members. Let's Get Started! As soon as you join I'll welcome you on-board with a short video introduction. Then together, we'll take a tour of the members area and go through the blueprint of making money online. Just like the rest of the site, everything is step-by-step and I'll direct you exactly where to go and what to do at each point! Watch me build a brand new web business in REAL TIME! Existing members LOVE 15 Steps To Success and you will too. Starting completely from scratch you'll see me construct a brand new online business before your very eyes. EVERYTHING is covered down to exactly which buttons to press so you will completely understand. You'll be able to copy and implement the process that 95% of successful online marketers use to generate a passive online income. "What's Working Now" and "Fast Cash Projects..." Traffic, conversion boosters, affiliate marketing, membership sites and expert mastermind sessions, the list goes on and on but everything in the Basecamp section has one thing in common: It all makes money fast. If you are just beginning with your business you'll find many projects that you can get up and running in as little as a few days. Basecamp is also where most of our regular updates get posted. Open the doors to a new world of traffic and profits. It's no accident that virtually all successful marketers own their own products. However, if you have no experience or niche expertise you might be concerned that it is difficult for you to do the same. If so, don't worry because in Product Creation Central I show you PRECISELY how. It's MUCH simpler than you probably think and by following a few basic steps that I show you, you'll be able to open the doors to a new world of traffic and profits by publishing your products in various places where "hungry buyer" traffic already exists. But please remember, the modules above are just a small taster. At the risk of sounds like a broken record, please remember again you not only get access to the "How To" step-by-step training but also personal and timely email support that goes with it. This site has seriously got me fired up again and I have NEVER felt so targeted and motivated to succeed online. Our members hate the fluff, hype and other nonsense that exists around the web. This is what Gain Higher Ground Membership is all about: We cut through all that like a knife through butter. When you start looking at internet marketing as a real business instead of a “rich rich quick” scheme amazing things can happen. It’s a lot of fun too! For me, internet marketing and online business is really about the freedom to do what I want when I want. I’m a real person (not a faceless “guru”) and I’m here to help you start and grow your own successful online business in order to achieve the income and lifestyle you want too. If you have any questions or would like to chat then feel free to email me personally at support [at] gainhighergroundmembership.com. Get in touch anytime! 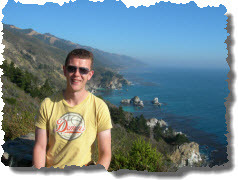 Q: I’m completely new to internet marketing, won’t this all be too complicated for me? ​A: Not at all. We start completely from scratch assuming no knowledge whatsoever. I show you everything (down to which buttons to press) in order to get your business off the ground. I explain it all in plain, easy to understand English. There ARE more advanced sections of the members area but again, we build up to this step-by-step so you’ll never be left wondering what to do. ​Q: Getting traffic is my biggest challenge, I need more visitors to my website! A: I know from my own experience and from talking with others that traffic can be one of the most overwhelming aspects of building your business. For this reason we have an entire section called “Real Traffic” where I show you (using many real life examples) of how to do this properly, quickly and effectively. On top of that we have several special guests (real people making real money online) who share the EXACT strategies, tactics and results of their own traffic generating techniques. In short, I’ve got you covered on this – you’ll love it! Q: What if I don’t like Gain Higher Ground Membership? A: Even though 98.1% of people continue with their membership I understand that there will always be a small number who don’t for whatever reason. This is fine – you can cancel at ANY time, quickly and easily. Q: I’m not technical, can I really do this? A: Absolutely! These days almost zero technical knowledge is required to build a web business. I don’t know how to code a web page and I don’t want to know either. 95% of what you’ll need to do to build you business is “point and click” so it is very easy. For the other 5% there is a module called “The Technical Toolbox” where I show you exactly in real time on-screen how to perform the slightly more fiddly things like add email accounts to your website, transfer domains, “cloaking” your affiliate links, FTP and so on. Non-technical members have already been amazed at how straight forward it is. You’ll be fine, seriously. Q: What are the experiences of existing members? A: Please see the comments and testimonials on this page (scroll up and down!). Q: I don’t know which online niche to choose, will GHG Membership help? A: As with everything in internet marketing, there is a clear ROADMAP to finding a niche. You just need to know it and follow the steps. 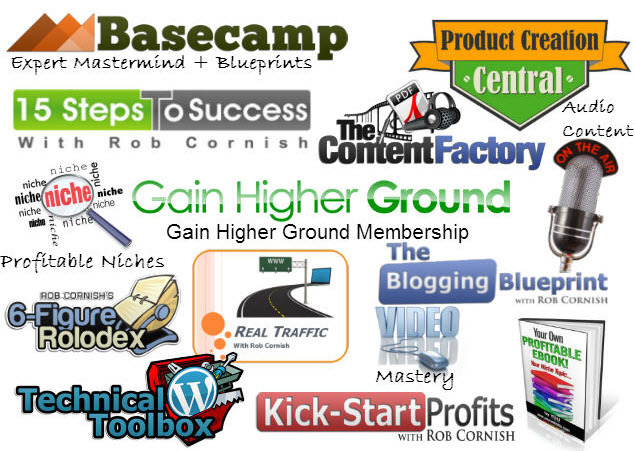 One you’re inside the members area I show you exactly how to find the right niche. This is covered in “15 Steps To Success” (the crash course business building blueprint) and also another section of the site called “Profitable Niches”. There are real life examples, you don’t need to be an expert and there is a profitable niche for everyone, including you! Don’t wait for the “perfect” niche to find you, go and grab it for yourself! Q: How much support will I get? Q: Isn’t the content of GHG Membership just PLR (Private Label Rights) or rehashed from elsewhere on the web? A: No. All the content (100% and no less) is completely original and has been created by me personally. You won’t find any of the members area content ANYWHERE else online or offline. Q: Why are you offering a $5 trial, won’t people just rip you off? A: The refund rate (since October 2011 when GHG Membership was launched) is EXTREMELY low. It’s currently 1.85% which when you consider most internet marketing products have refund rates of 30-50% is really amazing. 98.1% of existing Gain Higher Ground Members choose to stay on purely because of the outstanding training, community and support. So this is why I am confident to run a $5 trial without people taking advantage (well, there will always be some but that’s fine I don’t really mind!). Q: Aren’t you just another faceless “guru” Rob? A: No – I’m a real person! I’m based in North Cornwall, England. Email me at support [at] gainhighergroundmembership.com. Get in touch anytime! Q: Can’t you only make money by teaching others how to make money online? A: No! I wrote about this a while back on my blog actually. Inside the members area we have interviews and archived live training sessions with real people making real money in all kinds of different niches: Cooking, magic (seriously! ), fitness, offline local businesses, financial stock trading and so on. There is a niche for everyone, including YOU! Q: Do you cover affiliate marketing? A: Yes, in fact this is exactly what we begin with. Promoting other people’s products in return for commission is one of the fastest ways to get started online. This is because you don’t have to worry about creating products, taking payments, issuing refunds or customer support. We cover affiliate marketing in detail. Q: I want to create my own products to sell online. Will GHG Membership help? A: Yes, Absolutely! 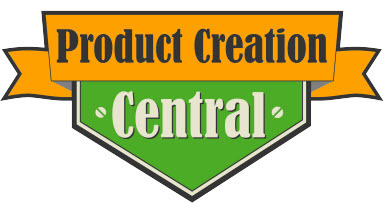 The members area contains a section called “The Content Factory” and also "Product Creation Central". I show you real examples and explain everything you need to do in order to create profitable eBooks, videos and Audio content and products. I’ve made a lot of money doing all of this myself so I show you the shortcuts and how to get it done in a fun and quick way. Q: I’ve tried and tried with internet marketing but NOTHING has worked. Why will this be different? A: This is unfortunately a common situation. Information overload is a massive problem. Also, many of the courses and training “systems” on the internet are outdated or created by people who haven’t really had success themselves (they “fake it until they make it”). I’ve been successful online and know exactly what it’s like when you start out. I break everything down into a step-by-step roadmap and explain everything in plain, easy to understand, English. Plus remember, you have total support to via the forum and direct from me as well. Remember you get INSTANT ACCESS to everything you see on this page when you join TODAY. GHG Membership is not like many other sites you see around the web where you have to wait weeks or even months to access “new modules”. That’s just a ploy to keep you paying longer than you need to, usually for sub-standard content. Standing Start Profits: It doesn’t matter whether you have an existing web-business or are starting completely from scratch, I’ll show you everything you need to be successful step-by-step from scratch. And remember in addition to the main training and regular live updates you also have access to our private member forum and direct support from me personally via email. This is all laid out for you step-by-step and I show you personally what to do at each stage in plain and simple to understand English. “Everything that you need to know in order to start and/or develop an online business is presented on the site in a clear and systematic way! “Information Overload” is avoided!! The price is not some crazy $299 per month that you’d expect to pay for over-hyped “guru” training elsewhere on the internet. In fact, I’ve deliberately kept the investment to a level that anyone who is serious about creating a lifetime web business can afford. The investment is $5 for the first 7 days full access and then only $37 per month after that. There are absolutely no contracts and you can cancel easily at any time with one click. There are no upsells, hidden extra costs with Gain Higher Ground Membership. IMPORTANT: By joining today you will “lock-in” the lower price of $37/month and will never have to pay more, when the price rises for new members!